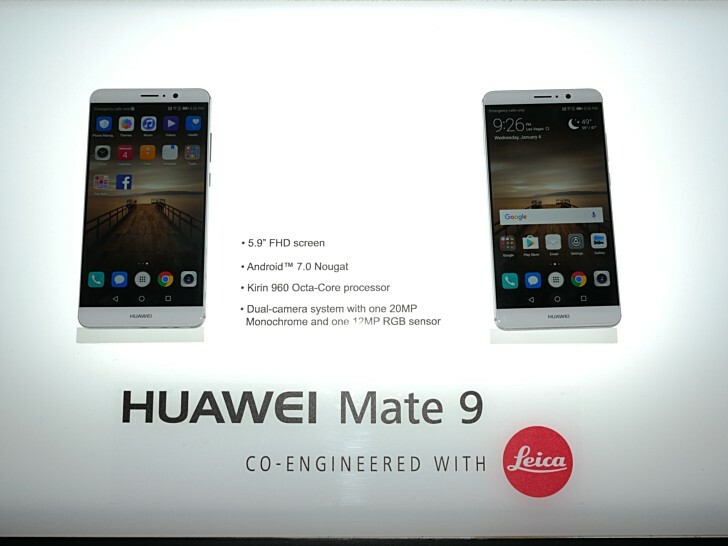 Looks like the rumors were correct as Huawei has now officially confirmed that the Mate 9 will be available in the United States starting January 6 (tomorrow). The announcement was made by the Chinese company during a CES event in the US. As an added bonus the company announced that it will bring Alexa - Amazon’s cloud-based voice service - to the handset, making the Mate 9 the first smartphone of its kind. You'll be able to ask Alexa to set an alarm, build to-do lists, get the weather and traffic reports. Access to Amazon Alexa will be made available sometime "early 2017." For those who purchase the Mate 9 before that, they'll get the feature through an OTA update. The Huawei Mate 9 will carry a $599 price tag, and will be available in Space Gray and Moonlight Silver color options. Several retailers including Best Buy, Amazon, Newegg, and B&H will be selling it. When are they going to launch mate 9 in srilanka????? What similar phone would you recommend rather than this?